You'll receive 5 colorful appliques made from quality cotton fabric with an iron on backing. 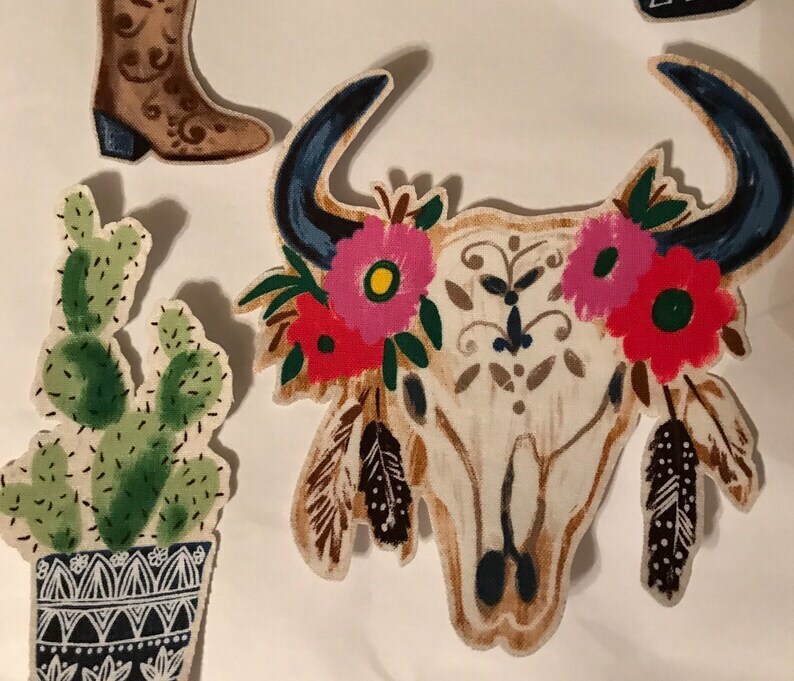 Fun assortment of cactus, steer head, hat, boot, etc. These cute fabric appliques would make adorable t- shirts or sweat shirts, aprons , or tote bags. Use them to decorate your towels or placemats - the possibilities are endless. Steer measures about 4 1/2” x 4 1/2"